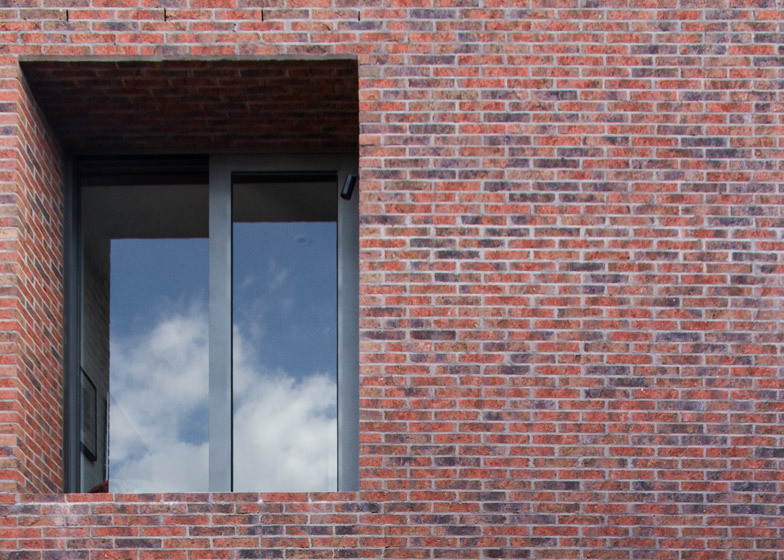 These three brick buildings, featuring deep-set windows and internal courtyards, have been arranged by B.E. 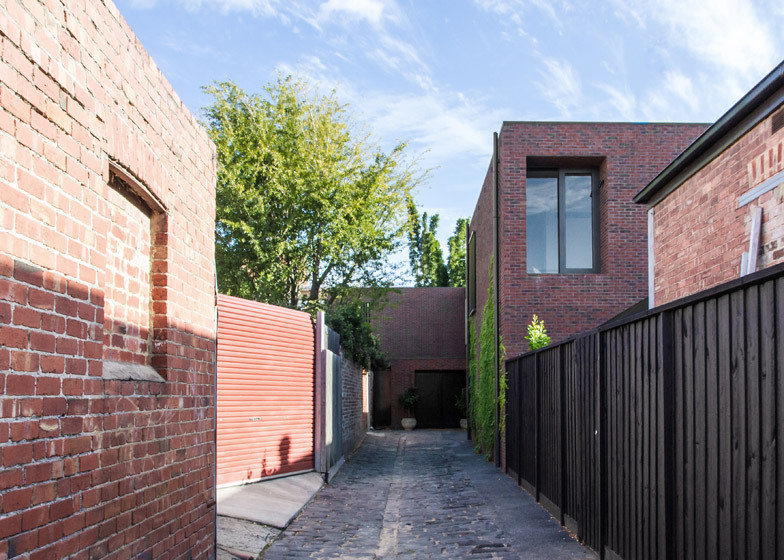 Architecture around a cobbled lane in the Australian town of Windsor (+ slideshow). 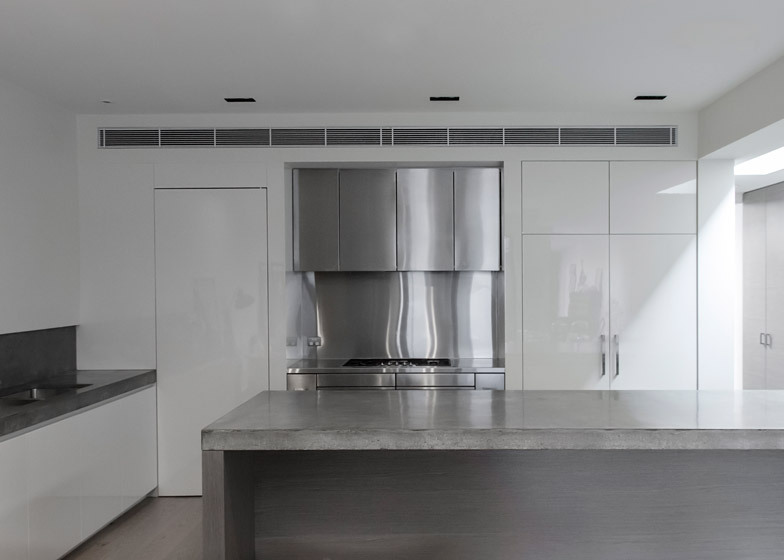 Named the McIlwrick Street Residences, the trio of houses was designed by Melbourne-based B.E. Architecture to form a home for several generations of the same family. 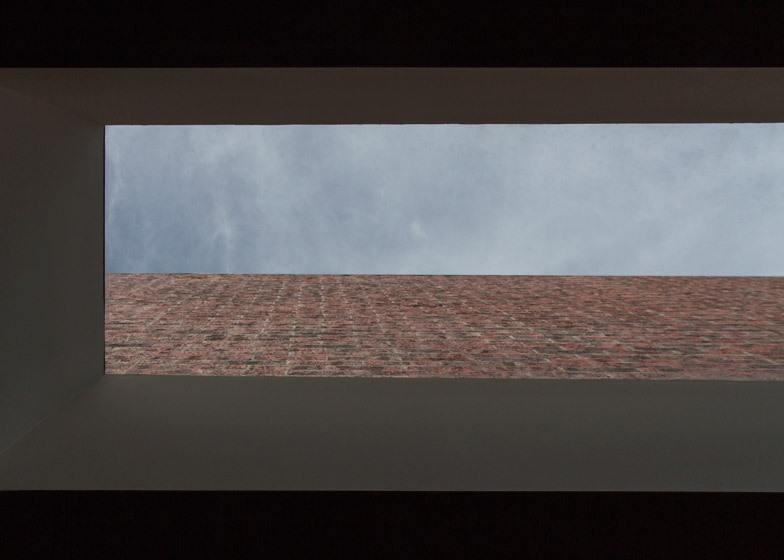 They interconnect via a series of enclosed patios. 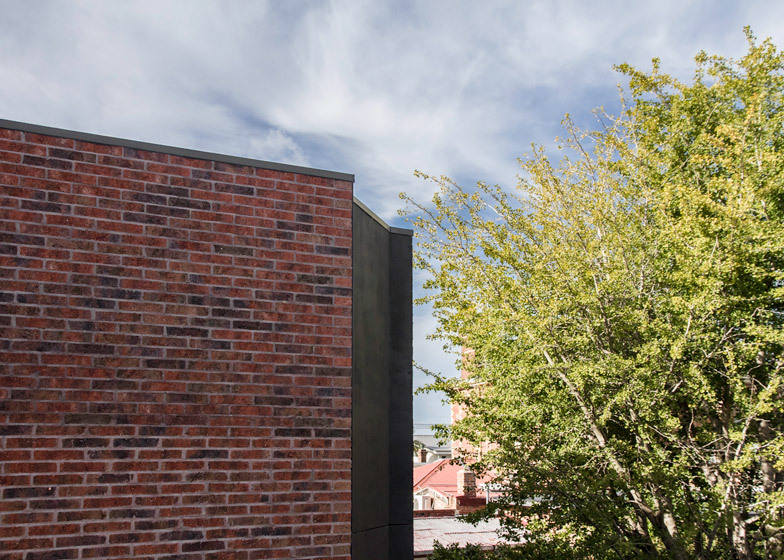 Red brickwork and black steel detailing were intended to match the materials used in existing neighbourhood properties. 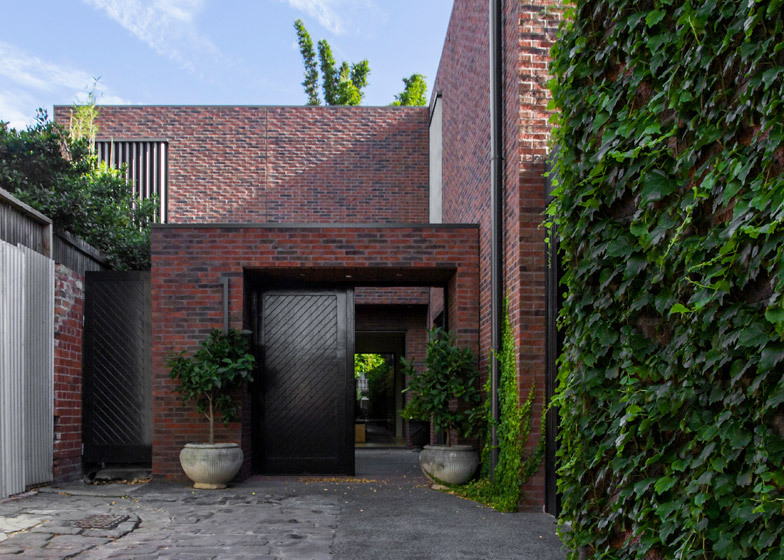 These are paired with contemporary details, including steel-framed windows set within deep brick-lined recesses and flat rooftops. "Like an old European village, the development is a small cluster of buildings you can see through and walk between, such that the significant addition feels as though it could have always been there," said the architects. 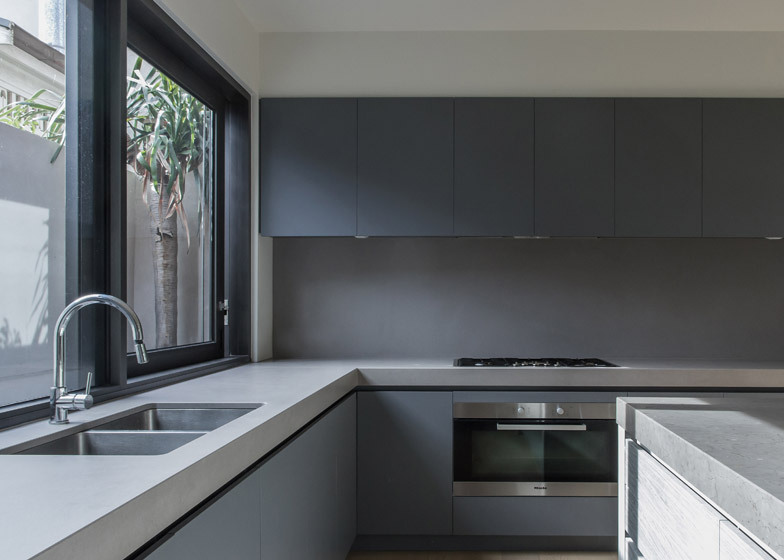 "Built more like early Victorian Australian architecture, it is a quiet integration made from solid materials and time-honoured craftsmanship not typically used in modern developments." Climbing vines were planted around the bases of the blocks to soften the hard edges and to give the buildings "a sense of time" as they grow. 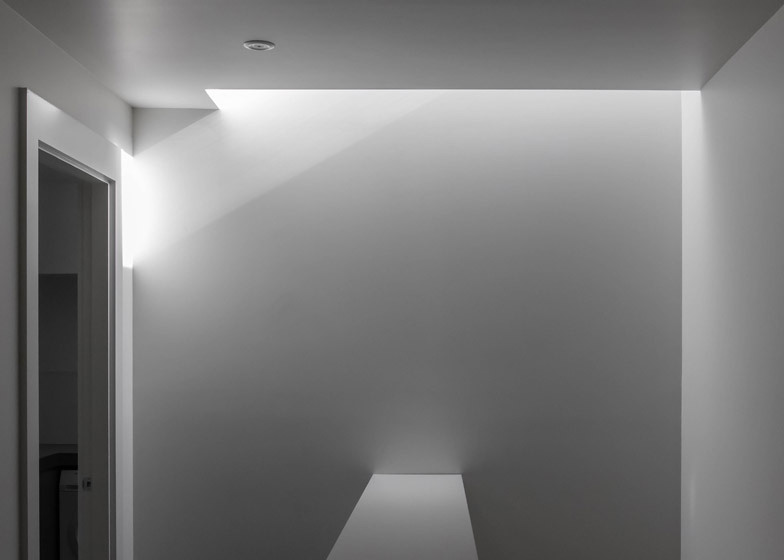 The intention was to create the impression that the structure has been on the site for years. 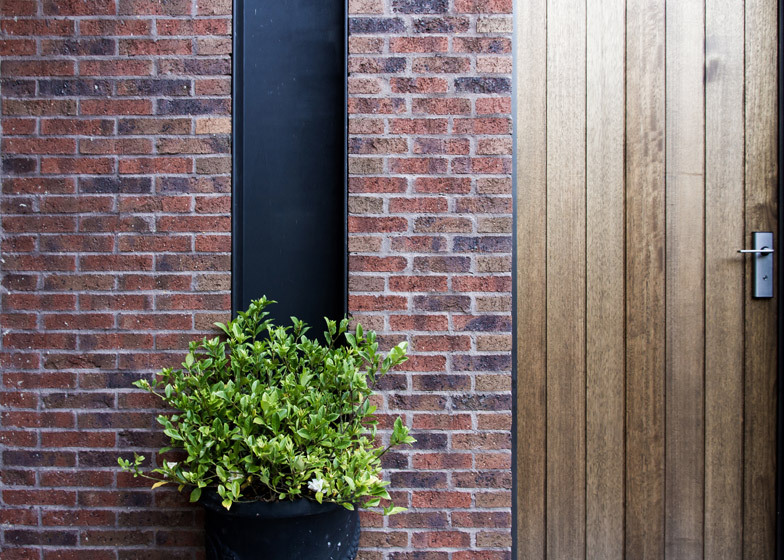 Enclosed terraces between the three houses provide private outdoor spaces and lightwells for each residence, and wooden gates open onto the communal alleyway. "While the residences are each a building in their own right, there is a closeness that reflect the multi-generational family that inhabits them," added the architects. "They intertwine and open onto the adjacent laneway used as an additional, shared outdoor terrace," said the design team. "Only accessed by the residences, the laneway is a concealed space for the family to congregate as well as a safe area for kids to play." 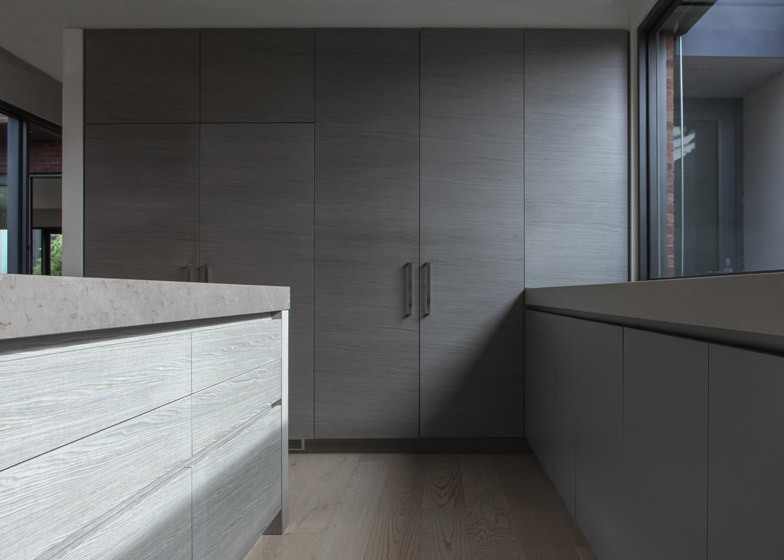 Variation in interior finishes ranging from faux period detailing to grey-toned wood and stark white walls with poured-concrete surfaces help to give each of the residences its own identity.